Things are going better – and better – for the PGA of Australia’s ‘Legends Tour. 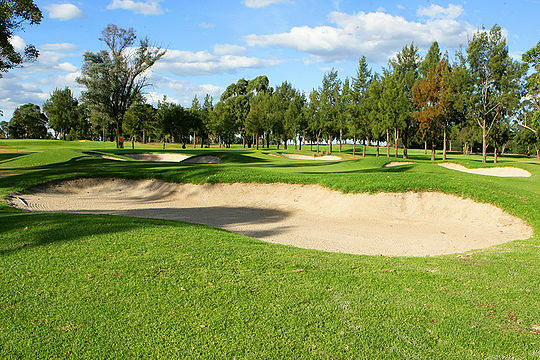 Besides signing up Coca-Cola for an extended sponsorship deal, the PGA recently confirmed Richmond Golf Club in Sydney’s north-west would host the Australian Senior PGA Championship for the next three years. Richmond has already shown it is the perfect host for the veterans on the E-Z-GO PGA Legends Tour, having hosted this tournament for the past two years. Now some of the biggest names in Australian golf will be trekking to Richmond for the next three years with the event to be played there until 2017. And in another fillip for the event, Coca-Cola indicated it would be happy to stay on board with sponsorship of this prestigious event. Attracting some of the best over-50’s PGA Professionals in Australia this event has been won by legends such as Peter Senior, Peter Fowler, Noel Ratcliffe and Mike Harwood in recent years. The 2015 Coca-Cola Australian Senior PGA Championship will be played at Richmond from November 12-14 with a purse of $100,000. According to the CEO of the PGA of Australia, Brian Thorburn, the event is a fantastic playing opportunity for this country’s PGA professionals. “The biggest opportunity, though, belongs to the Hawkesbury community, who are able to witness this high calibre action in their own backyard,” he said. “One of the strengths of the Legends Tour is the relationships the players create within local communities which is why we are looking forward to returning to the Hawkesbury region,” he said.